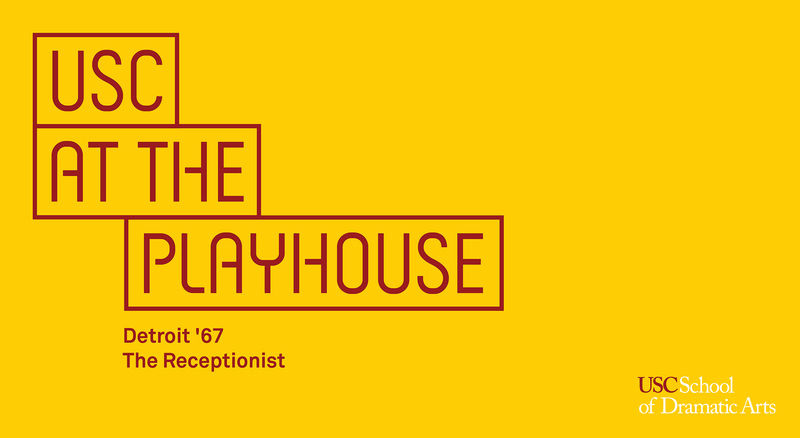 The USC School of Dramatic Arts and Pasadena Playhouse continue their exciting partnership by presenting two productions for the School’s MFA in Acting program at the Carrie Hamilton Theatre. The partnership is a continuation of the theatre’s 100-year commitment to cultivating artists and provides the students the opportunity to develop meaningful relationships at a working professional theatre. No matching events listed under USC Fall MFA Year 2. Please try viewing the full calendar for a complete list of events. General tickets are $20 for this production. $10 tickets are available for USC Students & Staff as well as Pasadena Playhouse Members. In the summer of 1967, the songs of Motown are breaking records and breaking barriers. Chelle and her brother, Lank, are running an unlicensed after-hours bar in their Detroit basement – risky business – especially during a brutal police crackdown that has set off riots throughout the city. When Lank offers refuge to an injured white woman, tensions erupt in their home and their city, and they find themselves caught in the middle of the ’67 riots. It’s the start of a typical day in the Northeast Office and Beverly deals effortlessly with ringing phones and her colleague’s romantic troubles. But when a charming rep from the Central Office makes an appearance, the friendly routine is disrupted. As the true nature of the company’s business becomes apparent, The Receptionist raises disquieting, provocative questions about the consequences of complicity with evil.